1. 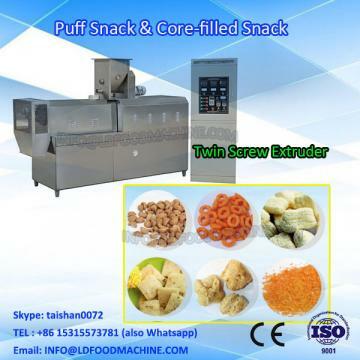 This machinery uses potato starch, corn starch ad main material to produce a Variety of twice extrusion food. 2. different shapes of products, such as Crispypea, shell, screw, square tube, round tube, wave etc. 3. This process line is characterized by unique technics, rational configuration and stable performance. 4. It can finish steaming, extruding and shaping in one step without boiler. 5. The products look like the real one and taste crisp and cious after frying.